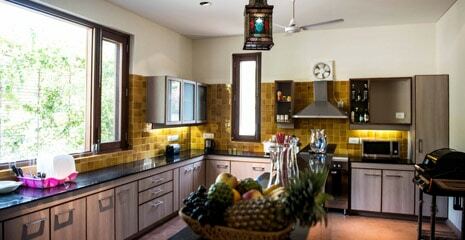 We are delighted to introduce this stunning villa built to exceptional standards. 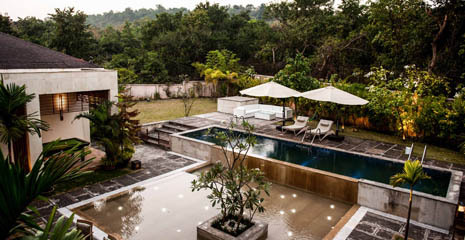 The villa is located in the quiet and beautiful neighbourhood of Assagao known for its quaint architecture, good roads, flowers and forested hills. 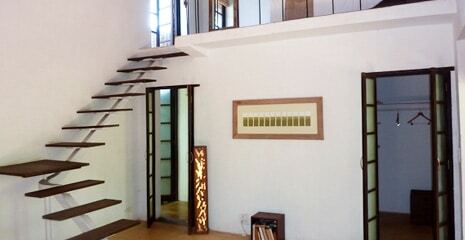 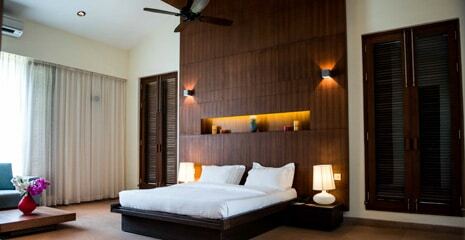 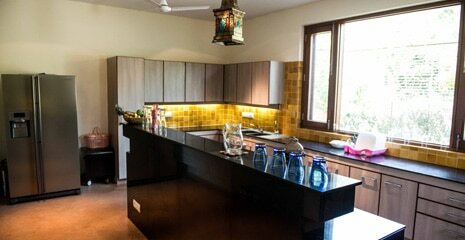 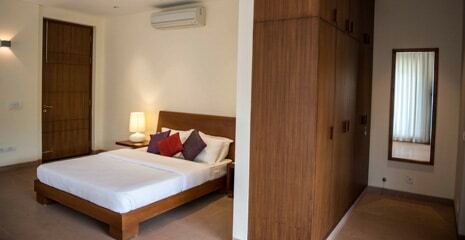 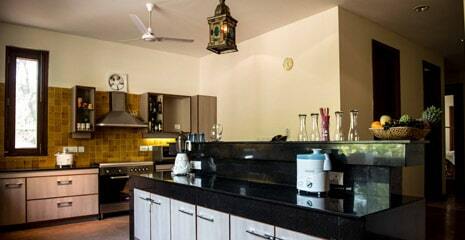 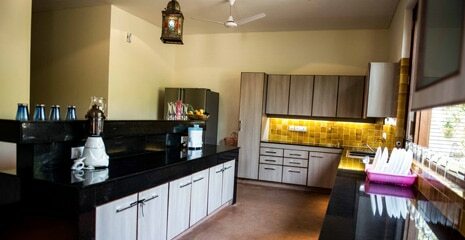 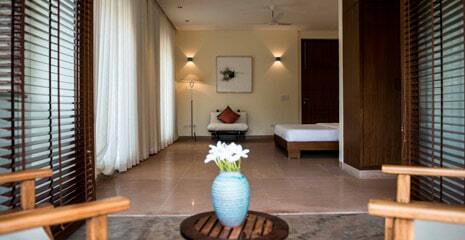 The villa is 10 minutes away from the beaches of Anjuna and Vagator. 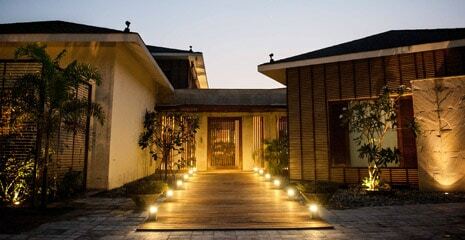 In the neighbourhood are wonderful boutiques like Cheshire Cat, Indian Story and People tree. 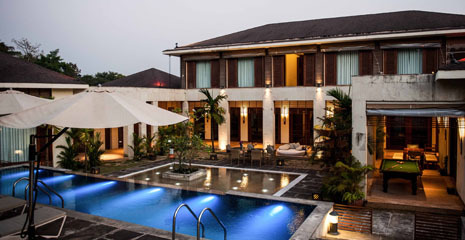 For long delightful brunches and relaxed lunches there’s Villa Blanche and for dinner there’s Gunpowder for the best in Indian peninsular cuisine. 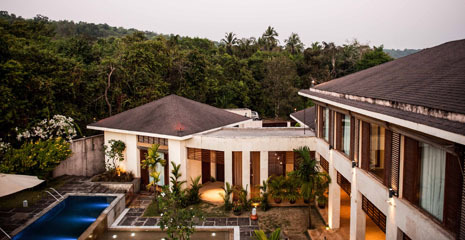 The Purple Valley Yoga Centre is a stone’s throw away. 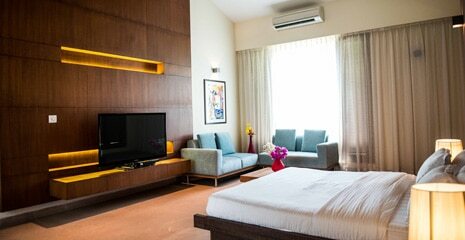 High quality furnishings and state-of-the-art-technology have been smartly combined to ensure you experience the luxury of comfort and serenity. 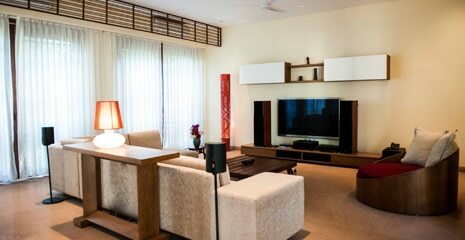 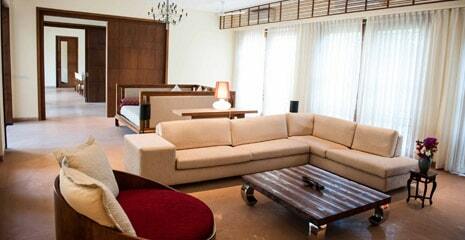 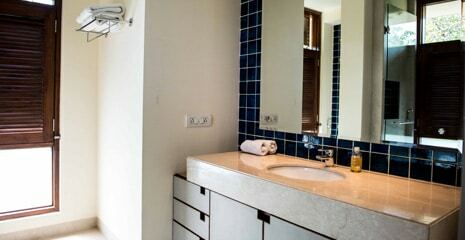 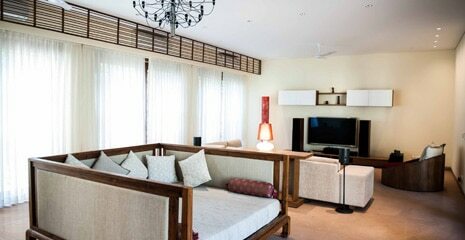 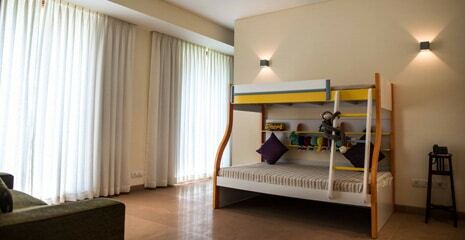 The plush living room has several seating areas while the en-suite bedrooms are spacious with large stylish bathrooms. 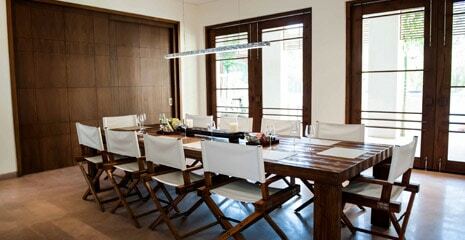 The dining room seats 12 people. 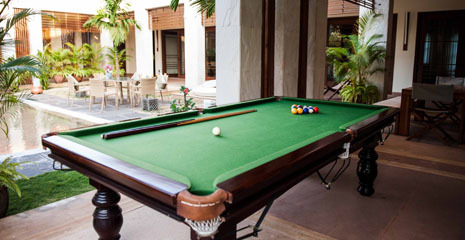 There’s a pool table, two swimming pools (for adults and children), various outdoor seating options, barbeque and a natural outdoor gym. 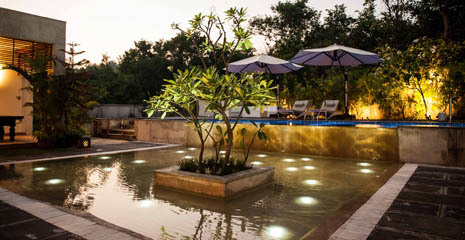 The exquisite gardens are designed with more than 50 species of exotic fruit trees, plants, flowers and an old natural well. 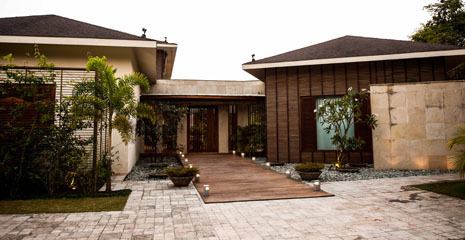 Set in one acre of tropical gardens this contemporary villa is a fluid combination of courtyard style with contemporary East Asian tropical. 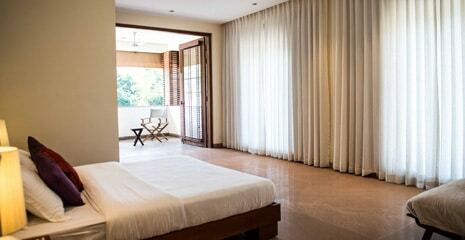 The impact is a spacious, airy villa surrounded by greenery and lit up by natural light. 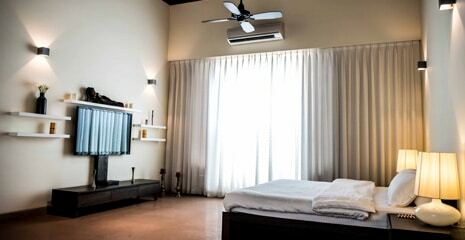 On three sides, thick natural forests immerse you in Nature and tranquillity yet you are minutes away from beaches, restaurants and night life.